Real estate agents in this day and age have everything they need at their fingertips no matter where they are. Sometimes this can be overwhelming as you try and do everything under the sun to gain new clients and keep past clients happy. So how can you put a smartphone to work for you to increase your real estate marketing without feeling overwhelmed? Social Media – Social media is free and a great way to get yourself out there. Apps like Facebook, LinkedIn, and Snapchat can help you reach a new audience easily and keep in touch with your sphere. Think hyper-local content when it comes to sharing on these social media sites. Customer Relationship Management (CRM) – Your CRM probably provides a mobile dashboard. If you are sitting waiting on an appointment, scroll through your CRM and stay in contact with your clients no matter where you are. Direct Marketing – Having the right real estate CRM makes it easy to upload photos and send out postcards, emails, and other marketing pieces right from your smartphone. 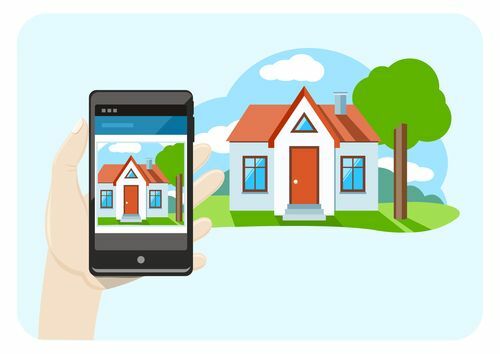 This is just the beginning; a smartphone can help you increase your real estate marketing and save you time. As an agent, aside from making calls and checking email, how are you using your smartphone to help your business?